 Harvey and Joe Shuster Award-nominated writer Conor McCreery ( Kill Shakespeare ) and newcomer illustrator Mattia di Meo present a crossover for the ages in this mash-up of two of our favorite Cartoon Network shows! 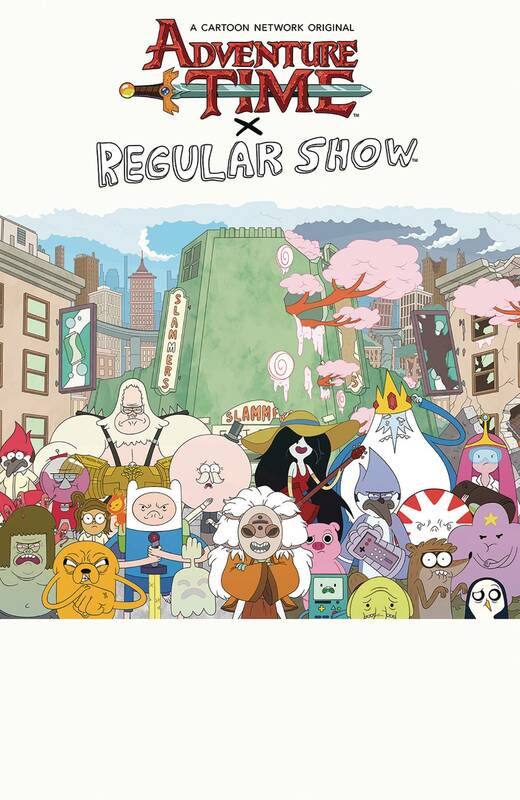  When a powerful new villain threatens to conquer Adventure Timefs Ooo, Princess Bubblegum sends Finn and Jake on a desperate quest to find The Power that can save the land.a power that Skips from Regular Show just happens to be hiding!  Finn and Jakefs arrival only exacerbates an existing tension between Mordecai and Rigby, and the trip back to Ooo threatens to tear two sets of bros apartcforever.  Collects the complete limited series. 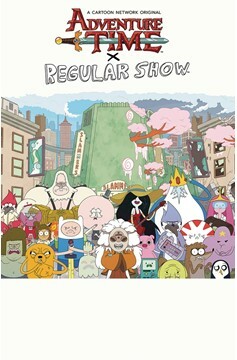  Adventure Time/Regular Show is a fun crossover event that brings two insane worlds colliding into one another. If youfre a fan of Adventure Time or Regular Show, youfll definitely like this comic.h - Comicosity.